Nothing beats the day-to-day usability and reliability of a mechanical pencil, and these personalized pencils from Sutter’s Mill Specialties are no exception. 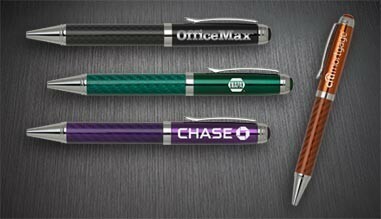 An ideal promotional product, each pencil has your brand and logo laser-engraved on the barrel, and with multiple styles and colors, including carbon fiber and rosewood, you’re sure to find just the one you need to make a lasting impression. With so much work being done on touchscreen laptops, tablets, and smartphones, a high-quality stylus is rapidly becoming an indispensible tool. Turn it into an indispensible promotional product as well with Sutter’s Mill Specialties wide selection of dual-purpose, customized stylus pens. 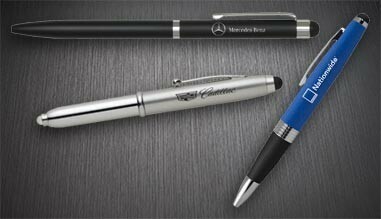 We have multiple unique styles to choose from, including USB stylus pens, LED stylus pens, and even carbon fiber stylus pens – all featuring your imprinted logo and a reliable ballpoint pen writing tip for the perfect multi-use, tech-savvy tool. 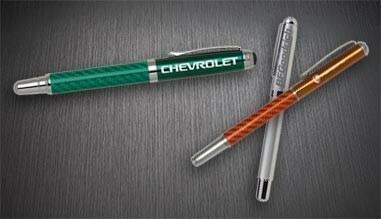 Guarantee your brand and logo will be proudly displayed in the hands of your clients and employees with custom-branded writing sets from Sutter’s Mill Specialties. 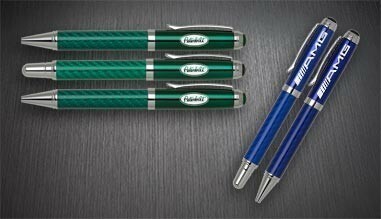 With multiple options and styles to choose from, including personalized pen and pencil sets, Rollerball and ballpoint sets, and imprinted pen and letter opener sets in stunning materials like carbon fiber, aluminum, and even rosewood, these stunning writing sets make an elegant corporate gift or promotional item. 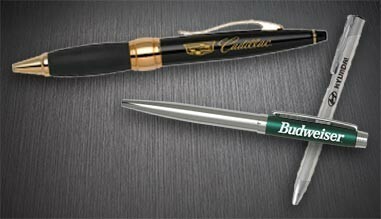 For a unique, personalized promotional item that exudes style and class, go with a laser-engraved fountain pen from Sutter’s Mill Specialties. 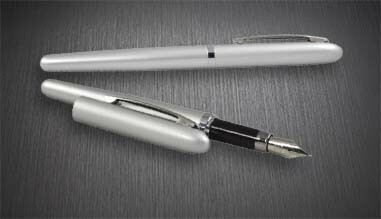 Our custom-branded fountain pens feature a traditional style with a sleek mirror finish, perfect for accenting your brand and logo, and will be highly regarded by your clients and employees.